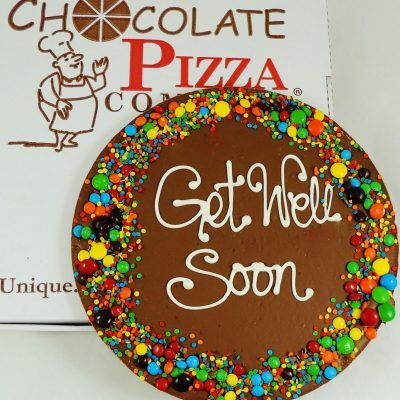 Chocolate Pizza makes the perfect gift and these are ready to give for some of the most popular occasions like Congratulations, Thank You, and Get Well Soon. 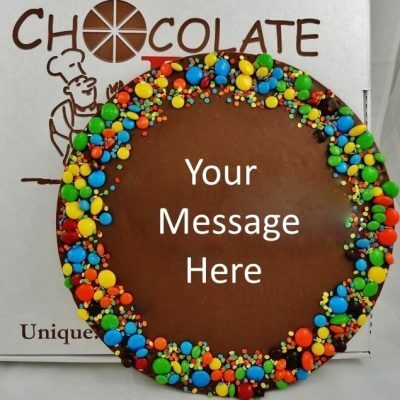 You choose the message, flavor, size and border of this Chocolate Pizza. 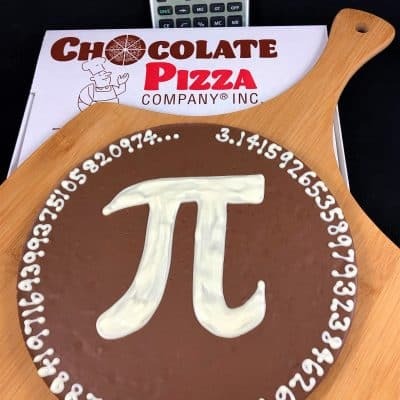 Featured on Food Network, Chocolate Pizza blends gourmet chocolate with homemade English toffee, adds nuts or candy and serves it in a custom pizza box (regular size is about 10″ in diameter, large size is about 12″ in diameter). 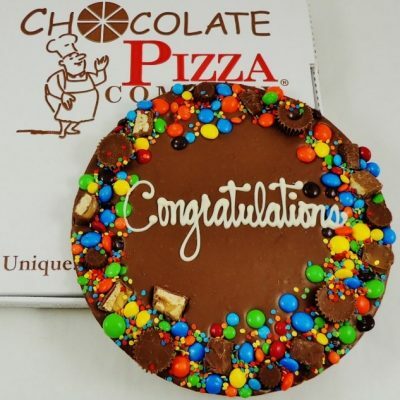 Handmade in America by skilled artisans so no two Chocolate Pizzas are ever the same. 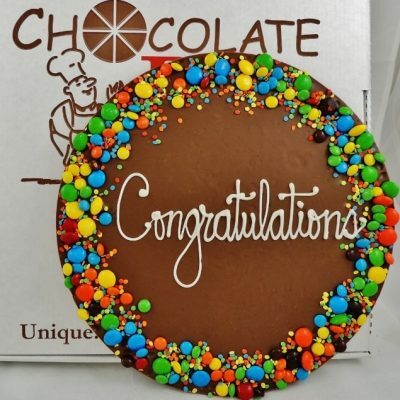 Whatever the occasion, send your message in gourmet chocolate – they will remember and appreciate your thoughtfulness. 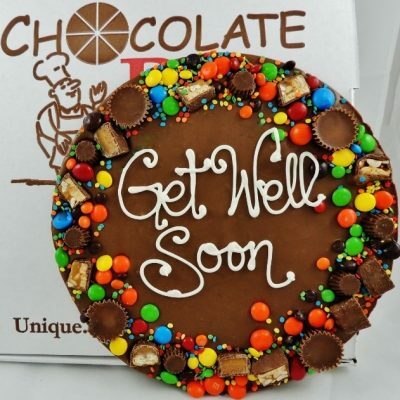 Don’t forget our famous Peanut Butter Wings – these are a top-selling specialty that starts with crisp, rippled potato chips covered in creamy peanut butter and finished in milk or dark chocolate. 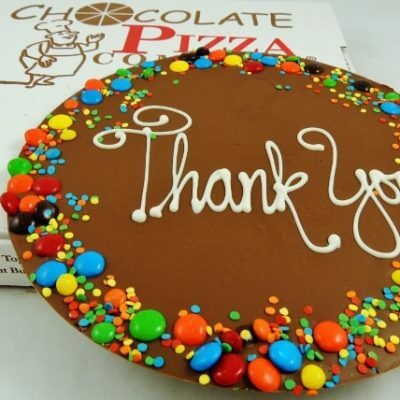 Together with our Chocolate Pizza the Peanut Butter Wings create the sweetest Pizza and Wings Combo you ever tasted. 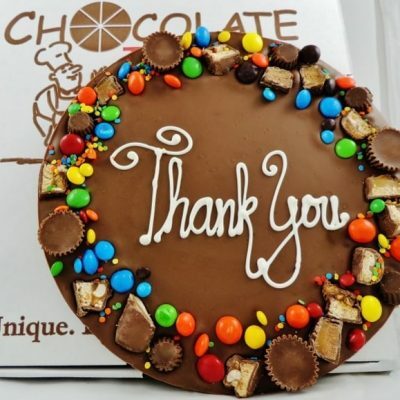 Whatever you choose it will be unique, delicious and impressive.